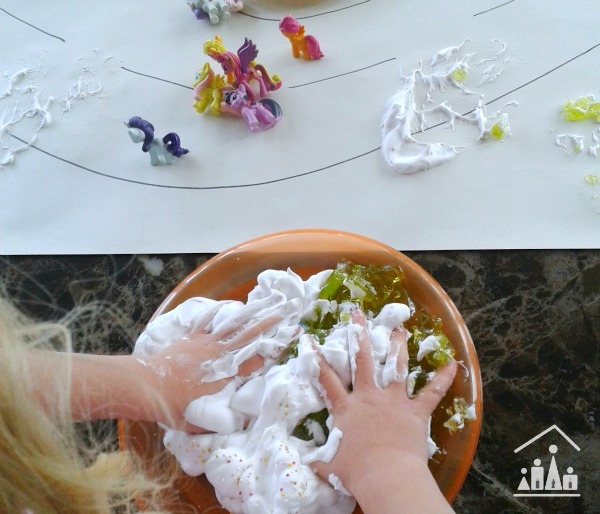 Messy play isn’t just horsing around, it is an important learning tool for your growing child. 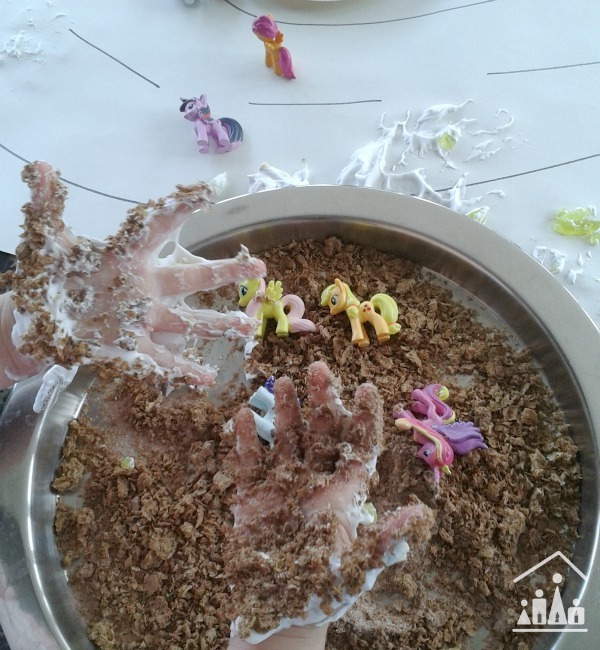 So roll up your sleeves and get stuck into our Horsie Horsie inspired Messy Play activity with your kids. I hope you are enjoying our Rhyme Time series. 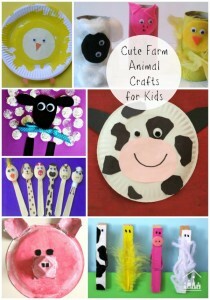 We are having so much fun coming up with new ideas for activities to do alongside popular nursery rhymes. 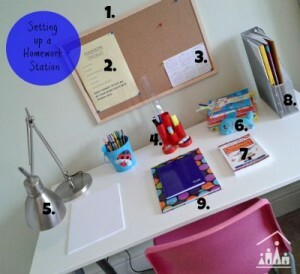 Have you had a go at any of our ideas yet with your kids? Which other nursery rhymes would you like to see on the series? 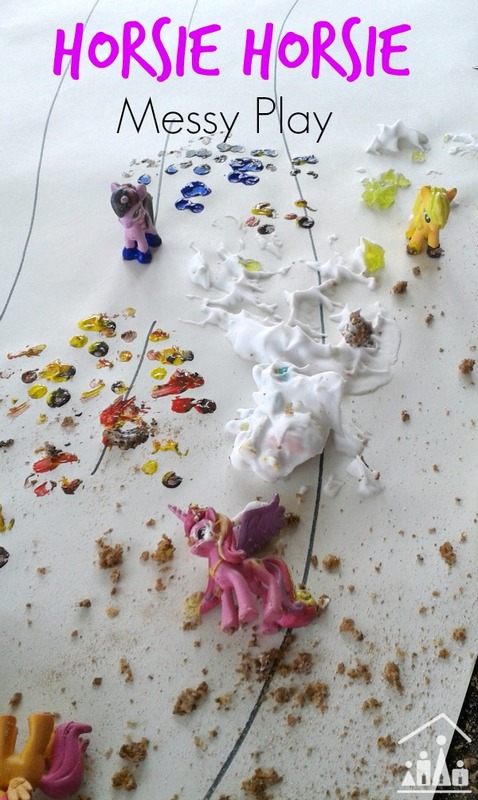 We decided to get messy for this week’s Horsie, Horsie inspired activity. The idea behind this messy play set up was for the horsies (Bella’s miniature My Little Ponies in our case) to explore the different sensory trays set up along the horsies ride home down the road. 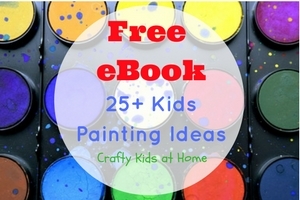 Tray loaded up with paint – we used the 3 primary colours red, yellow and blue. Tray loaded up with jelly and shaving foam. Tray loaded up with weetabix and cocoa powder. Long sheet of paper with road markings – we used our easel roll. Towels and wipes on standby! We had more messy fun recently mixing up a Jelly Potion. Bella got struck straight into the jelly and shaving foam to start off her activity. She wasn’t afraid to get her hands stuck right in and give it all a good squish and squelch together. As she played I chatted to her about the materials, how did the feel, what did the jelly smell like, did she like it, did it feel hot or cold etc. We did taste some of the jelly before we added the shaving foam to it, to give her taste buds a sensory work out as well! 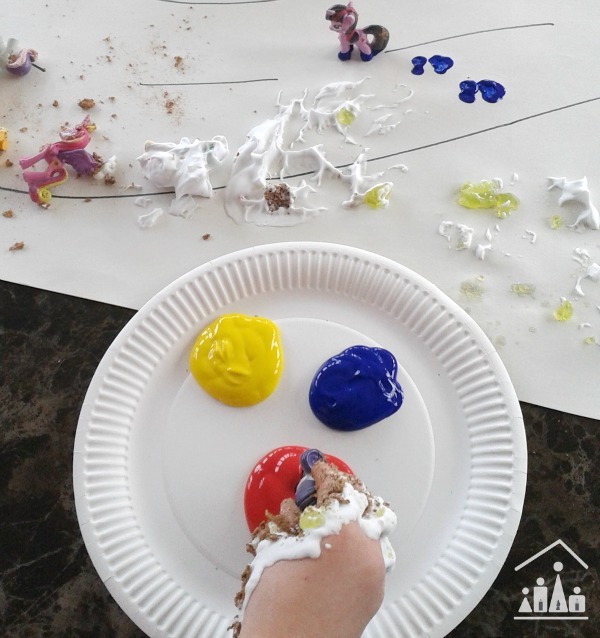 Follow Crafty Kids at Home on Instagram for more messy play ideas as they happen. She then moved onto the tray loaded with mashed up weetabix and cocoa powder, with her jelly and shaving foam covered hands. There is really no need to clean up before moving onto the next tray. 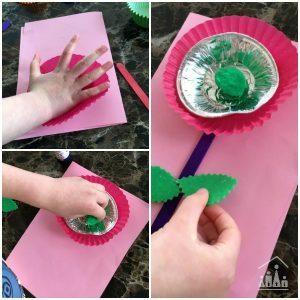 This activity is all about exploring and getting messy, comparing the feeling of the different materials and seeing what happens when they get mixed together. 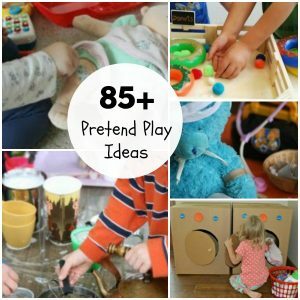 If you are starting to get concerned about the mess levels at this stage, just remember that your child is helping to develop good problem solving skills, as they explore the different materials together. 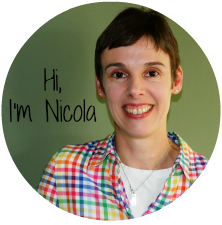 I had planned to talk to Bella about basic colour mixing, as she dipped her ponies into the red, yellow and blue paint and printed their footprints onto the road. But she was too quick for me and basically mixed all of the colours together to make a very mucky green colour, before I had even had chance to mention the words colour mixing to her! This was perfectly fine though, this was her activity and she was taking control of her learning. Bella had awesome last year with her Messy Pretend Baking activity. 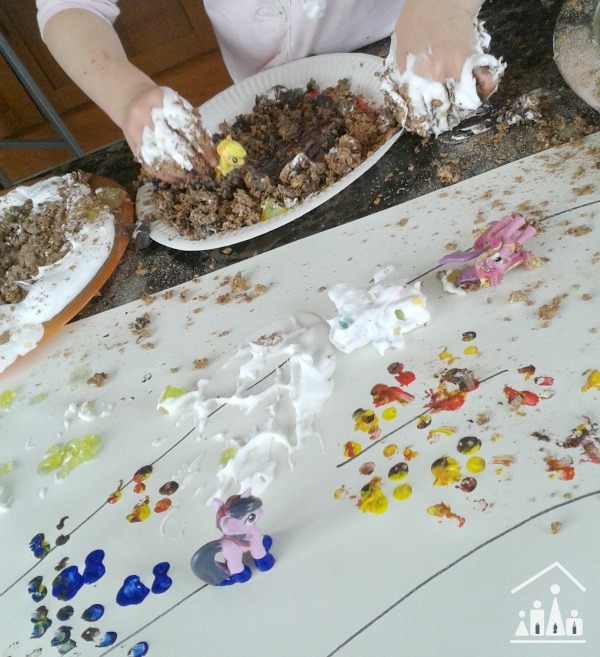 Once she had explored all of the trays individually, she then basically mixed everything together and had a hilarious time having fun and getting very, very messy without even realising she was developing important skills she will need in later life. The clean up operation wasn’t too bad. Bella helped to wipe down the table (and chairs) as i scooped everything from the table and popped it into the nearby bin. 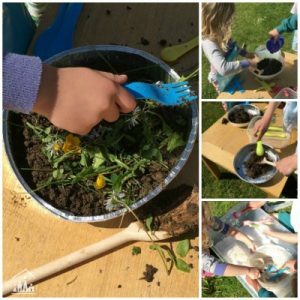 It is a good idea to allow yourselves plenty of time to clean up after a messy play session. 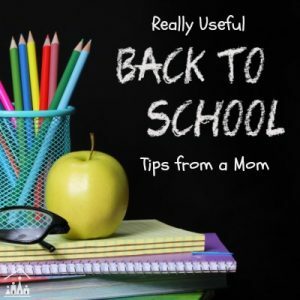 Don’t for example decide to do it if you need to be somewhere quickly or if you have your mother-in-law calling over anytime soon! 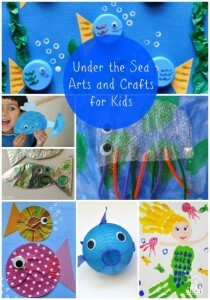 Messy Little Monster show you how to make your own Hobby Horse. Enjoy a Horsie Horsie Small World Play with Teach me Mommy.